Physical therapy and chiropractic services are both essential to recovery after an injury. Chiropractic Centers of Ocala and Dr. Chris M. Pell, DC provide outstanding chiropractic physical therapy services to the Ocala, FL, and surrounding areas. "Dr. Pell and his staff are wonderful!." "A visit to Dr. Pell is the best part of my week! My neck and shoulder pain are gone!" "The staff is courteous and very helpful." How Are Physical Therapy and Chiropractic Related? For many years, there’s been something of a conflict and competition between physical therapists and chiropractors. Both are focused on recovery from injury, healing, restoration of flexibility and range of motion, and regaining a sense of wellness and normalcy. The truth is, physical therapy and chiropractic can work together as important parts of a patient’s recovery process. Chiropractors focus on a whole-body approach to health and wellness, focused on how the spine is the center of the body’s signal system. They focus on how the signals sent to and from the spine affect the body’s mobility and functionality. By controlling pain and addressing soft tissue issues and spinal adjustments, chiropractors help patients regain a sense of normalcy. Physical therapists, on the other hand, focus on exercise, rebuilding strength and restoring limited mobility through activity and working the damaged joints, muscles, tendons and other damaged areas. The two end up functioning very well as a part of a patient’s overall health and wellness team. More often every day, physical therapists and chiropractors are working together to help patients regain a sense of well-being and functionality that they previously lacked. When used properly in conjunction, chiropractic and PT can often not only restore motion and sensation but can provide a sense of wellness that the patient has never felt before. Where Can Patients Find Facilities? Today, the best chiropractors and physical therapists work together to combine exercise and spinal manipulation to provide a complete, non-invasive and natural approach to rehabilitation, health, and healing for all patients in a way never before seen. Dr. Chris M. Pell, DC offers an onsite gym and an 8-week wellness program which includes a specialized fitness routine the doctor teaches to the patient at the gym. 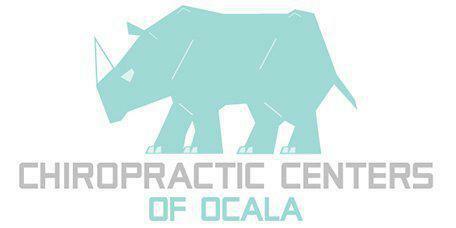 By combining physical therapy and chiropractic, Chiropractic Centers of Ocala offers a complete course of treatment for a range of injuries and physical ailments. "Best Chiropractor I've ever been to, and I've been to quite a few. Love the open floor plan, and no waiting." "First time visiting as a patient this week and what a friendly, dedicated and happy staff. Dr. Pell is very thorough and easy to understand." "Dr. Pell is a true healer. The best chiropractor I know. My back feels incredible! I'd recommend him and this office any day of the week." "Dr. Pell has been extremely informative and thorough everytime I've been to his office. His approach to overall wellness is extremely refreshing.."